ESPLANADE MASTERPLAN ON SHOW TODAY! Don’t forget to have a look at and have your say on the proposed new Fremantle ESPLANADE RESERVE Masterplan which will be on display there near the Youth Plaza from 10-12.30 today, Saturday, September12! 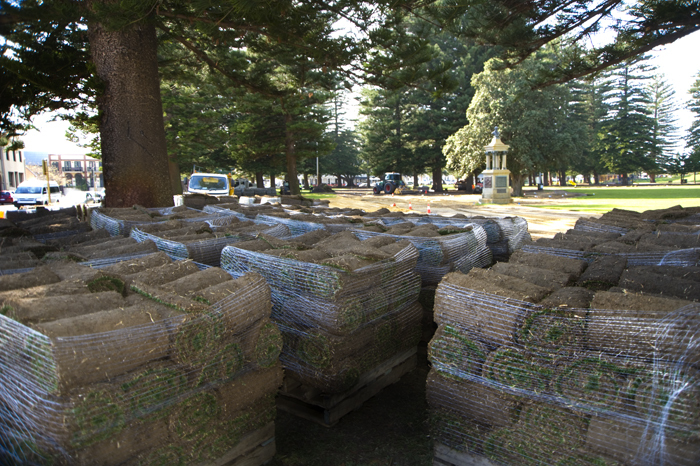 The Esplanade has been mismanaged and over used for many years and that needs to stop. Events have to be spread throughout the inner city but also the outer areas like Booyeembara Park, Princess May, etc. And Kings Square should be activated more often as well. Wayfinding paths, better wheelchair accessibility, and some shade structures would be a good start. It is also essential to put heavy vehicle restrictions on most parts of the Esplanade where strict traffic controls are being enforced on bump in and bump out days of events. The Esplanade is our major inner city community green space and it needs to be protected. Comments Off on ESPLANADE MASTERPLAN ON SHOW TODAY! 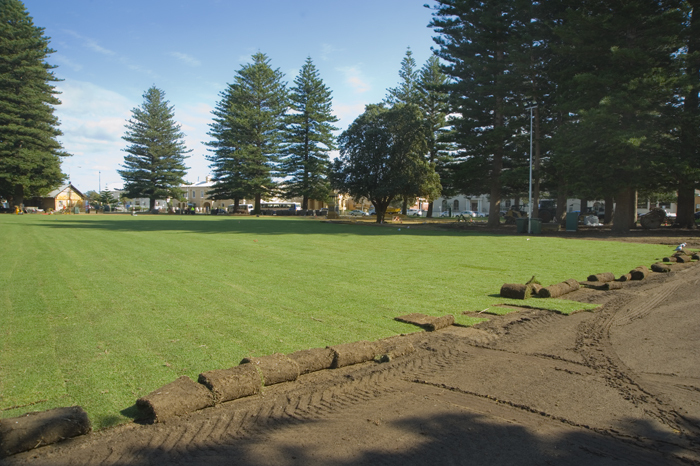 Hundreds of metres of new grass are being laid at the Fremantle Esplanade Park and making the surface look great again just in time for summer. There is no doubt for me that the Esplanade needs to be better managed by the City of Fremantle and that events there have to be limited as the surface simply can’t cope with thousands of feet trampling on it, heavy vehicles driving on it and stages being built on many weekends in summer. Fremantle City needs to be more clever and rotate events around the city. Smaller events could go to Pioneer Park, Princess May Park, Kings Square and South Beach, and larger ones could be accommodated at Fremantle Park. There might also be scope for a few more daytime events at the Fremantle Art Centre on the southern big lawn. The Esplanade needs to be treated with more consideration as it is not acceptable that it looks a total mess for many months a year. Common sense needs to prevail here and it is Council’s responsibility to implement and manage that! Facebook: ROEL FOR FREO! Truly Independent. Wherever I go in Fremantle I see buckets put down to catch the rain water leaking through the ceilings of older buildings. I’ve got three water catch containers at the place I am house sitting and the ceiling is sagging, so I hope it does not get any worse. But there is beauty in the ordinary and reflections always make interesting photos so here some of the Point Street car park that soon will become a Hilton Doubletree hotel.